It is hard to pick one planner across the 19th and 20th century as there has been many great planners who in their own way have contributed and changed planning theory. Ebenezer Howard was one of these great planners although he is hard to quantify as the best because there are positives and negatives to what he did however he will be the focus of this blog. 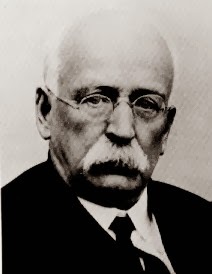 Ebenezer Howard is very well known in the planning profession mainly due to the fact he started the garden city movement. The garden city movement was very important to planning and changed the way planners thought about cities; before the garden city movement planning especially planning in the UK was focused on what it thought was “functionality” and what functionality basically meant was building a lot of roads and then dumping high density council housing to accommodate the population. The garden city moved away from the idea cities just had to house people and created a community and an aesthetic city people wanted to live in with a lot of trees and open spaces. Ebenezer Howard’s garden city was the first sustainable city model which came about within the planning profession and now is used a lot when expanding and building new cities now, combining urban areas with trees and open spaces is essential for cities to function and we know that thanks to the garden city movement. Many people miss understand and think the garden city should be low density suburbia but as mentioned in the video ‘Planning Past and Future: Early 21st Century Reflections’ the garden city is a medium density urban centre which allows you to walk to the shops and work and combines community with gardening and farming and becoming fully sustainable. Criticisms of the garden city would be although it can be adapted to work with the environment and make a great social community it doesn’t take into account economics and the productivity of the area things like supporting local business and public transport, that is reflective of the time but now with globalization and urbanization these things have to be incorporated.